The concept of a Birth Plan that is writing down your wishes, desires, and preferences is becoming more and more popular (though I like the term Birth Preferences far better than plan, because who can plan a birth). A lot less common notion is the idea of developing a Postpartum Plan. While you’re pregnant, a lot of effort and focus is spent on the upcoming birth of your child. Because come on there’s plenty of stuff to think about, you have to somehow get that human being out of your uterus. Then, when you come to prepping for postpartum, you are normally thinking about all the stuff you have to prepare for baby. How many onesies do I need? What baby soap is reviewed the highest from all the blogs? And after spending all this time on prepping for your birth and getting your child clothed, you arrive at your postpartum period, child in arms, and have no clue what to do next. Fear not, we’ve got you covered. If you take some time thinking about how your want your postpartum period to look, it’ll go a lot smoother for everyone, trust me. The most comprehensive postpartum planning resource you’ll find is DONA Internationals free Postpartum Planning pdf. This is a great resource to start with and really goes through your whole postpartum planning in detail. My favorite part of this plan is that it has you list the phone numbers of lactation and mental help support so that you have professionals on hand if you need additional help. 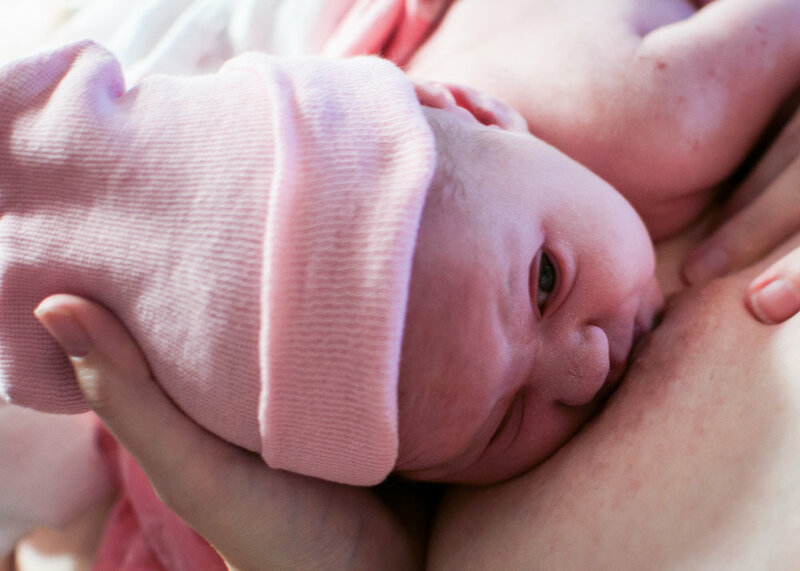 The last thing you want to be doing when you’re struggling with a newborns latch is trying to find someone to ask for help, far easier to refer to your handy-dandy list and give your IBCLC (International Board Certified Lactation Consultant Examiner) a call. Another great resource for planning for postpartum is reading Heng Ou’s The First Forty Days: The Essential Art of Nourishing the New Mother. This book revolutionized how I viewed postpartum when having my son, and my first 40 days with him were a complete 180 of what they were with my daughter. The book covers some incredibly important information and has killer recipes to boot. I’ll let you discover those for yourself when you read the book, and I will now highlight what I recommend clients focus on when planning their postpartum time. One of my favorite postpartum lessons is that when you’re placenta detaches and leaves your body after baby’s delivered, the inside of your uterus is left with a placenta sized wound. Let me say that again a placenta sized wound. An average placenta diameter is about 8.5 inches, so the size of your dinner plate wound inside your uterus. Now obviously the body is ready for this, and knows how to heal, but it typically takes about 6 weeks for that to completely close, heal, and for the uterus to go back to pre-pregnancy state and size. These 6 weeks are what most people look at as “postpartum” period, though truly it can be 6 months or even longer. At least the first two weeks at home should be focused on primarily resting for you and bonding while feeding with baby. That means staying at home, preferably in bed if you are able, and only taking care of yourself and feeding your baby. That doesn’t mean making lunch for your 2-year-old, going grocery shopping, or going to the gym, that means just taking a chill pill and enjoy your new baby. It’s imperative that you have extra people on hand, and/or consider hiring a postpartum doula if you are able (would highly recommend, a great thing to ask for your baby registry). The postpartum time is fleeting and it’s so easy to get overwhelmed. I hope you are able to prioritize yourself because you and your body just went through quite the transformation to bring that baby home. Through all kinds of birth, you deserve some R’n’R after the last 9 months, even if you’re feeling like running a marathon after. Please wait, I promise there will be time. Take time now to line up what you’re going to be watching on Netflix, reading in bed, and who’s going to be caring for you. Because you deserve it. This is a picture of my postpartum basket, which I had easily on hand and my care team would restock for me in the bathroom. Some of what saved me constant trips to and from my closet were, ample postpartum pads, clean underwear, and cloth wipes for the sore perineum. (Image: Black basket with two bottles on the left and a variety of cloths, pads, and underwear inside). The biggest part of the postpartum period that people easily forget is food. What are you going to be eating? Because trust me, you’re gonna be HUNGRY (see picture below of my typical postpartum breakfast). Overwhelmed with a newborn, it’s easy to cut corners and eat an overabundance of takeout and quick-to-make and normally low-in-nutrition food, where your body really needs the top-notch warmest meals to recuperate. Freezing meals in the months ahead is a GREAT way to prep for baby. My whole labor I looked forward to my frozen pesto pasta that was gently warmed by my care team soon after my son was born. It’s a great thing to have a nice stockpile of healthy and delicious options to resort too when you were about to dial Dominos pizza instead. An example of a postpartum breakfast delivered to me by my fabulous birth team, so I was able to stay in bed and be with baby. Yes, I realize that’s a lot of food, and yes I did eat it all because breastfeeding. (Image: A serving tray holding a plate with a half-eaten bagel, another plate with two pieces of toast and two eggs, two tangerines, a cup of coffee, a large bowl of oatmeal with fruit, a glass of electrolyte drink, and a large bottle of water with a straw). In addition to making a bunch of meals ahead of time, I highly encourage all my clients to set up a meal train (doulas are great at doing this), before their birth to share with all their family, friends, and community members. Meal trains are online sign-ups where you pick the frequency of what you would like people to bring food (2-3 times a week is typically a good amount) and then people sign up. If you’re nervous about people staying too long with bringing a meal, be sure to include on the sign up that this is a meal drop-off and that you really appreciate it. I’ve known plenty of families to have a cooler with a sign outside the door as well, for those times you may be sleeping with baby or just not feeling up for visitors at that time. People understand and know that you and baby aren’t going anywhere. If you have a goal to breastfeed/chestfeed your baby for any amount of time, it’s best to have some preparation for it (though honestly, you don’t need very much in terms of stuff, more of a mental preparation). The main thing to prepare for feeding your baby human milk is to attend a class as well as talk with people who have done it before. There is La Leche League or other peer-to-peer support groups that can help you navigate your feeding journey, and it’s great to check out these options while pregnant. Get a good resource list going (including your doula’s phone number) and you should be set if trouble arises. Some great items to have in your feeding basket to have on hand. (Image: An orange basket holding a water bottle, trail mix, some books, and a box of milkmaid tea). Water, again in a water bottle that can be used one-handed. I love me a straw water bottle, but you do do. Some reading material for if baby falls asleep while latched and you’re cool with it. My go-to is The Nursing Mother's Companion, 7th Edition, with New Illustrations: The Breastfeeding Book Mothers Trust, from Pregnancy Through Weaning (shown below). These same kind of stations are also really helpful with bottle and/or formula feeding. Having everything in one place can save a lot of stress when you’re fumbling in the dark half asleep. Establishing the routine you want after baby is born before baby is born. If you’re planning on potty training, moving beds, changing a bedtime, please please PLEASE do it before you bring your new baby home, or plan on waiting a few months after baby’s home to do it. Your life is going to be turned upside down when baby arrives, and your children will appreciate all the consistency they can hold onto to make their lives seem as “normal” as they were before baby joined the family. You can never read too many books, and going through some of the changes and excitement of a new baby are a great way to prepare with your soon-to-be older siblings. It’s also a great time to talk about your siblings birth stories, and how they were born. Twin Cities Midwifery has a GREAT list of resources of books to read, activities to do, and movies to watch (including some great birth videos) with your kids. Two of my favorite sibling/new baby books are On Mother’s Lap by Ann Herbert Scott and Hello Baby! By Lizzy Rockwell. And for movies/shows, Daniel Tiger’s The Baby Is Here, and all the episodes surrounding the pregnancy, birth, and new baby are just great. Highly recommend. It’s great to have some go-to goodies when you need that extra 5-10 minutes to finish a feeding or change that diaper blow out, and that doesn’t mean having to dole out a ton of cash on new toys. You can wrap a bunch of previously favorite toys the months before baby, and then see the joy on their child’s face when they resurface and the toy is brand new again. I’ve seen clients take a toy, like Legos, with a ton of pieces, and break them down into smaller easy to grab packages, so you get 15-20 goodies instead of one big one. You can even stock up Happy Meal toys or grab some previously loved stuff from your local thrift store. A sibling basket to go along with your feeding/nursing basket is another great resource to have if you have preschool/toddlers already at home. This is a basket they only can play with while you are feeding baby, so that feeding baby will become not a time of resentment, but instead excitement. Next week, I’ll be covering what to include in a Sibling Basket in detail. But here’s a sneak peek. A sibling prep basket with books, stickers, and toys. More details to be included on next weeks blog post! Image (A woven basket with the book Hello Baby in it. On the counter in front of it are a variety of toys, books, and sticker books). Hope you got some good ideas and inspiration for planning your postpartum. Let me know in the comments what YOU wished you would have planned for your first forty days with new baby, or what made the biggest impact on your postpartum time. “Class Schedule.” Everyday Miracles, www.everyday-miracles.org/calendar/. “Food Tidings.” Food Tidings, www.foodtidings.com/. Huggins, Kathleen. “The Nursing Mother's Companion, 7th Edition, with New Illustrations: The Breastfeeding Book Mothers Trust, from Pregnancy Through Weaning.” Amazon, Amazon, 15 July 2017, www.amazon.com/gp/product/1558328823/ref=as_li_tl?ie=UTF8&camp=1789&creative=9325&creativeASIN=1558328823&linkCode=as2&tag=thetidaldoula-20&linkId=0bb81cc5f60f150066e426265e09209e. Jorgensen, Lisa, et al. “100+ Of the BEST Freezer Meal Ideas!” Kitchen Fun With My 3 Sons, 20 Feb. 2018, kitchenfunwithmy3sons.com/best-freezer-meals/. “La Leche League of Minnesota and the Dakotas.” La Leche League of Minnesota and the Dakotas, www.lllofmndas.org/. “Postpartum Plan Template.” www.dona.org, DONA International, www.dona.org/wp-content/uploads/2016/12/postpartum-plan-template.pdf. Rockwell, L. “Hello Baby!” www.amazon.com, www.amazon.com/gp/product/0517800748/ref=as_li_tl?ie=UTF8&camp=1789&creative=9325&creativeASIN=0517800748&linkCode=as2&tag=thetidaldoula-20&linkId=87791933e461614a16cba05d08736165. Romano, Mattea, et al. Journal of Prenatal Medicine, CIC Edizioni Internazionali, 2010, www.ncbi.nlm.nih.gov/pmc/articles/PMC3279173/. Scott, Ann Herbert. “On Mother's Lap.” Amazon, Amazon, 23 Mar. 1992, www.amazon.com/gp/product/0395629764/ref=as_li_tl?ie=UTF8&camp=1789&creative=9325&creativeASIN=0395629764&linkCode=as2&tag=thetidaldoula-20&linkId=758b2b5074d2ac07e934932bc61d213c. Twin Cities Midwifery. “Resources for Preparing Siblings for Baby.” Twin Cities Midwifery, 30 May 2018, twincitiesmidwifery.com/resources-for-preparing-siblings-for-birth/. Yetter, Joseph F. “Examination of the Placenta.” American Family Physician, 1 Mar. 1998, www.aafp.org/afp/1998/0301/p1045.html.